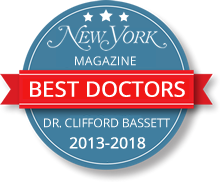 Allergy & Asthma Care of New York provides state-of-the-art Immunotherapy in the form of allergy shots (subcutaneous Immunotherapy), allergy drops (sublingual Immunotherapy) and Cluster Immunotherapy. Cluster Immuntherapy is an accelerated version of traditional immunotherapy. It a process of giving allergy shots to treat your underlying allergies but unlike conventional Immunotherapy, Cluster Immunotherapy essentially allows the patient to reach their “maintenance dose” over a period of weeks, rather than months, thus allowing the patient to experience the benefits of Immunotherapy sooner. This medical process acts somewhat like a vaccine to the allergen to which you have a sensitivity. The process desensitizes allergy patients to their specific allergens and is the only way to “turn off” the immune system’s reactions. With Cluster Immunotherapy multiple allergy injections are administered to you by our NYC Immunologists in a single visit in order to build-up your tolerance to the things that you are allergic to more quickly. This may be done for several visits until you reach a maintenance dose. 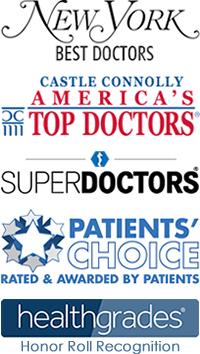 Most of our NYC patients are able to reach their maintenance dose very quickly, which is in contrast to conventional immunotherapy, which requires 4-7 months of weekly injections to reach the maintenance dose. Most people begin to notice more significant benefits with decreased symptoms once they reach higher doses of allergy injections to achieve maintenance. The advantage to Cluster Immunotherapy is to decrease the number of weekly injections to begin feeling better and becoming allergy free more quickly. As with any change, however, there can be some drawbacks. With such rapid escalation in dosing there can be an increased rate of local reactions. In addition, Cluster may not be suited for extremely sensitive patients or those with significant asthma or underlying medical conditions. Some providers may choose a slightly modified schedule based on your history, symptoms, and test results. As always, your allergist will discuss the relative risks and merits of Cluster Immunotherapy with you to ensure that you receive immunotherapy in the manner best suited to your individual situation. How Exactly Does Cluster Immunotherapy Work? 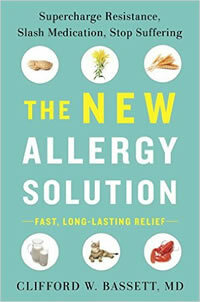 By gradually increasing the doses of your allergen, your body develops an immunity and/or tolerance to that allergen. In essence, allergy shots administered by our immunologists turn off an inappropriate immune response –your allergic reaction to a plant, tree, pets, mold, etc. –while still allowing your immune system to respond normally to infectious agents, especially viruses. Allergy patients are frequently able to get rid of their allergies and become medication “free” by gradually developing a stronger tolerance to his or her specific allergens. With allergy shots, your allergy symptoms can be decreased, minimized or even eliminated through this process that slowly makes your body less responsive to offending allergens over the course of several months to years. 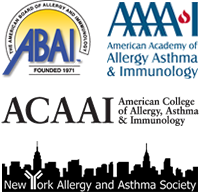 If you have any questions for the NYC allergists or would like to make a consultation with the allergists for immunotherapy please feel free to contact the Allergy & Asthma Care of New York (212) 964-1295 or (212) 759-8644 and indicate which NYC office (Financial District, Gramercy, Midtown) you would like to see the doctor in.